Two interim reports from the two sides, so to say, and the focus is slowly slipping away from the work on hand for the National Commission of Inquiry (CNI) probing then Maldivian President Mohammed Nasheed’s resignation of February 7. It is back more ore less in the realm of politics and public-spat. Of the two reports, if they could be called so, one has the relative legitimacy of being produced by the outgoing CNI before it was expanded, and the other from President Nasheed’s Maldivian Democratic Party (MDP), at whose instance the NCI is being expanded in the first place. Who jumped the gun and why are questions for which neither side may have convincing answers. It does not stop there. The police have since arrested a senior Intelligence Officer from the Nasheed era, for providing information for the MDP report. Chief Superintendent of Police Mohammed Hameed and Staff Sergeant Ahmed Naseer were arrested, based on court warrants, for talking to the MDP probe/ The Government side has also questioned the propriety of President Nasheed’s one-time Defence Minister and later National Security Advisor, AmeenFaizal, co-authoring the MDP report, which sought to establish the party’s earlier claims of a ’military/police coup’ forcing President Nasheed’s resignation. At the same time, Assistant Police Commissioner Hassan Habeeb has reportedly complained a’Quaran’ teacher has stopped taking tuition classes for his daughter, citing his name figuring in the MDP report. President Waheed Hassan has since sort of clarified that the expanded CNI with an MDP nominee and a retired Judge from Singapore as external member on the panel would review the work done by the probe team thus far, before proceeding with the task on hand. The MDP can be expected to raise the issue of the outgoing CNI publicising its incomplete work as prejudicing the views of the expanded CNI and also that of the public. There is some validity in the party’s position as none of the three members of the incumbent CNI are expected to opt out. Thus, they could still have defended their work even if the two new members were to contest the same. Incidentally, they would still hold numerical majority in the expanded CNI. The party, citing the CNI, has also demanded President Waheed’s resignation, but has been selective about its side of the story flowing from the CNI time-line. Having launched mob violence repeatedly on the streets of Male, the national capital, and other urban centres across the country, the party may have also lost the moral right to question the methods of others ? not that such a tendency by anyone should be encouraged, now or later. The publication of the CNI time-line should not absolve the MDP of the charge that they too might have shot themselves in the foot all over again. Having demanded steadfastly for expanding the CNI and having its nominee on board, along with one representing the international community so to say, the party should have waited for the probe report to be out before coming out with its clarifications, if any. Two wrongs do not a right make, and possible MDP’s claims that the existing CNI was the one that started off the game should not wash, either. The party could be charged with seeking to influence the expanded CNI and the people at large, just as it has charged the existing CNI already. The MDP has also not denied the charge flowing from the arrest of the two police officers, who were believed to have talked to the party’s probe team. Instead, party’s international spokesperson Hameed Abdul Ghafoor has charged the Government with purging ’police whistle-blowers’, as if to defend their right to speak to private probes, particularly when an official one was halfway through its work. Even granting that the police officers concerned had talked to the MDP team in good faith that the Government probe were an eye-wash, it is anybody’s guess why the party decided to proceed with the publication of the report of its two-member team after its demands on the CNI front had been met, through international intervention. Thus, it is not the party whose credibility alone is under a cloud now. Prima facie, avoidable controversies of the kind would pressure the expanded CNI at birth, and also take precious time off their work-schedule, viewing and reviewing the work already done, more closely than may have been otherwise. This could mean that the expanded, five-member CNI may not be able to meet the July-end deadline for submitting its report. The three-member, original CNI could not meet the May-end deadline earlier, after a decision was taken to expand the same, to include representatives proposed by the MDP and the Commonwealth. This could push back future political negotiations, particularly on the MDP demand for early poll for the presidency that much more. One can safely conclude at this stage that the MDP’s year-end deadline for the purpose may be dismissed as impractical. Thus far, the Government parties have been arguing that the demand was improper and not provided for in the Constitution as it exists now. The constitution of the CNI also suffers from another lacuna, among many, which the inexperience of the nation’s polity particularly that of the more vociferous MDP, has not addressed. Having been constituted by President Waheed, the CNI would have to submit its report to him. Through the past months since the exit of President Nasheed, the MDP in particular has charged President Waheed with being party to the ’conspiracy’. It has always demanded the resignation of President Waheed. Under such circumstances, the propriety of the CNI submitting its report to President Waheed could be under question. One can expect the MDP in particular to raise such issues, post facto, but it may be in the fitness of things to address such minor irritants early on as they could be blown out of proportion on a later day. Even without what could be described as inevitable delays in the working of the CNI, the Roadmap Talks for political reconciliation remains dead-locked. The agenda for the talks is noteworthy for including in it concerns for consensus over the nation’s economy, going beyond the realm of immediate politics. There are also references to the need for constitutional amendments for protecting national institutions. These are serious issues, which need to be taken up in a spirit of national understanding and cohesion, going beyond the immediate demands of partisan politics of one kind or the other. Many of the issues on board relate to the dynamic nature of democratic politics and Constitution-making for a nation that had remained politically insulated from modern influences and practices. The Indian contribution to the Roadmap talks too should be viewed from the South Asian neighbour’s experience with the dynamic processes of democratic well-being. It does not flow that the Roadmap Talks should be finding solutions to each of the identified problems facing the nation, here and now. As the processes that it had set in motion for its functioning the all-party grouping had started with prioritising the agenda for discussion, decision-making and implementation. They now need to focus on these greater aspects of democratic being and Constitution-making, which are both dynamic processes. Having set the nation’s priority, the stake-holders can then prioritise between those needing their immediate attention and solution, and those that need to mature further before the nation could apply its collective wisdom to problem-solving. Ensuring the independence of constitutional institutions and establishing their credibility have to be dovetailed if Maldivian democracy has to mean something more than what governance was all about in the pre-democracy era. It is not only about the MDP picking up individuals with a past but also insisting only on publicising their past, and politicking almost exclusively on the same. Such an approach meant that there was paucity of ideas for the Nasheed Government other than those prescribed on the economic front by an external organisation as the IMF. This created a chasm within the polity and even otherwise, which the Government of the day sought to brush under the democracy carpet. Instead, it is all about addressing the larger issues and concerns that related to the past, and the accompanying circumstances. There are few MDP leaders, for instance, who do not have their past linked to what the party often describes as the ’dreaded regime’ of former President Maumoon Gayoom. The second-line leaders in a cadre-based party like the MDP and in a country like MDP with no democratic past to boast of at any point in time, do not have the kind of exposure and experience required to govern a nation as complex as Maldives, however ’tiny’ it might look for the outside world. Independent of the numbers that have been added to the MDP membership list after the party came to power, the core cadre of the party still seem to live in the past. The have been fed on an ideology and dogma that have no relation to ground realities of politics and public life in any democracy. They have also been slow in on-job learning, in relation to the attitudinal changes required to be the party in power. This trend seems to dominate the decision-making processes in the party, post-resignation, as well, and the MDP seems shy of reviewing its own contributions to the expanding political mess and the repeated constitutional deadlocks. This does not mean that the MDP alone has the responsibility in the matter. Most, if not all political parties in the Government at present, were partners with the MDP in ushering in democracy ahead of the presidential polls in 2008. All of them, including then President Gayoom, had facilitated the democratic transition. While most others also facilitated the election of MDP’s Nasheed as President in the second, run-off round, as the incumbent, President Gayoom willingly handed over power without protest or plots, which some MDP leaders had otherwise anticipated during the run-up to the presidential polls. They too thus share the responsibility for having democracy take deep-roots, particularly since no one in the nation’s polity seems to be visualising any reversal of democracy. Yet, the responsibility of the MDP in ushering in democracy, and the party’s attendant duty for understanding the processes even better, is a role that the leadership has to take more seriously than at present. 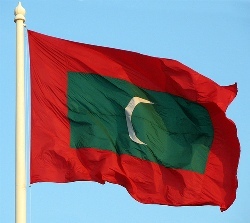 For now, Maldives and Maldivians can take heart that they have only ’telescoped’ the dynamism of democracies into a much shorter span than in nations of the world, including South Asian neighbours like India and Sri Lanka, Pakistan and Bangladesh, Nepal and Bhutan. Yet, Maldives cannot afford to continue with conflict as comfort zone of internal contradictions, to the exclusion of the work on hand and issues of every day governance that can be put off only at peril to the nation and the people, and polity and political leaderships. They need to act, and no time is better than the hour that has already been lost.